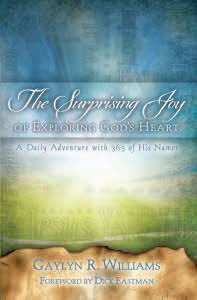 CIPA member and author, Gaylyn Williams published her seventeenth book, The Surprising Joy of Exploring God’s Heart: A Daily Adventure with 365 of His Names. The response to it has been phenomenal. Individuals have purchased one copy and then come back to purchase up to 25 more to give away. A website that reaches thousands of people daily has contracted to use the devotionals on their website by sending one out per day to all their subscribers. Read more at Gaylyn’s Blog.